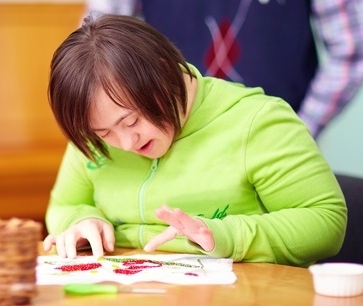 For more than 50 years, The Moore Center has been a leader in helping people with intellectual and developmental disabilities and acquired brain disorders become actively engaged members of the community. In turn, they enrich their communities and that leads to a better quality of life all around. The first step in obtaining services from The Moore Center is to have an Intake. Our intake coordinators will guide and advise you every step of the way. The Moore Center’s Moore Options for Seniors program also provides in-home personal care and innovative alternatives to nursing homes that are significantly more affordable. Please review the information below to determine how to engage with us to obtain services. Family Centered Early Supports and Services (also known as FCESS) serves eligible babies, toddlers and their families by providing play-based individualized supports and services. FCESS services are provided in natural settings, most often in the family’s home or child care setting. Our multi-disciplinary team of licensed pediatric therapists, certified early childhood educators and early intervention specialists offers developmental evaluation, speech therapy, occupational therapy, physical therapy, special instruction, service coordination, parent teaching, referral to other community resources and assistance with transition to preschool services, when a child is no longer eligible for FCESS. We also serve children who are at risk for a significant developmental delay, and children who have significant developmental delays or disabilities, including but not limited to children who have Autism Spectrum Disorders (ASD). FCESS Autism Services build upon FCESS services by adding additional services and supports to help families identify and implement the behavioral and sensory strategies that are known to assist children who have autism to achieve their maximum potential. Why isn’t my child crawling? Why can’t anyone understand what my child is saying? Are my child’s eyes working correctly? When should my child begin to eat solid food? Why can’t my child play alone? As a parent, you know your child best. If you are concerned that your child is not making progress or that the progress is slow, talk with your pediatrician or make a referral to Family Centered Early Supports and Services. For eligibility questions or to apply for services from our Family Centered Early Supports & Services program, please contact Beth Warner via email or call 603-206-2732. For more information see our Family Centered Early Supports & Services program. The documentation, along with a functional assessment performed by the Intake Coordinator, is sent electronically to Community Supports Network, Inc. (CNSI). They provide eligibility recommendations for each Area Agency in New Hampshire. In some cases, an eligibility file may go to Tier Two, where the state psychologist reviews the information. He will then give a recommendation as well. Children may be determined conditionally eligible, which mean they are eligible until a certain age. At that point, they will need to complete a redetermination to see if they are still eligible. Children and young adults under age 22 who have a traumatic brain injury (TBI) will complete an intake under the Developmental Disability Waiver. For eligibility questions or to apply for services from our Intellectual & Developmental Disabilities program, please contact Lindsey Magee via email or call 603-206-2879. For more information see our Intellectual & Developmental Disabilities program. The documentation, along with a functional assessment performed by the Intake Coordinator, is sent electronically to Community Supports Network, Inc. (CNSI). They will provide an eligibility recommendation for Non-Waivered Case Management. This case management includes advocacy and providing resources to the individual. Once approved for Non-Waivered Case Management, the documentation will be sent to the Bureau for waiver eligibility. The Bureau has an ABD Committee that meets to determine if an individual meets the criteria set in the regulations. 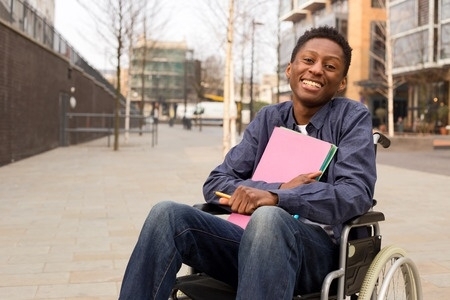 Once determined eligible for either the DD or ABD waiver, a Family Support worker will be assigned to assist the individual/guardian on determining which services would best serve the individual. Examples of those services may include, but are not limited to: Respite, Camperships, In Home Supports, Day Services, and Residential Services. For eligibility questions or to apply for services from our Acquired Brain Disorders program, please contact Lindsey Magee via email or call 603-206-2879. For more information see our Acquired Brain Disorders page. We understand the importance of enabling seniors to live at home, so we offer an array of creative programs to help them remain in a home environment for as long as possible. 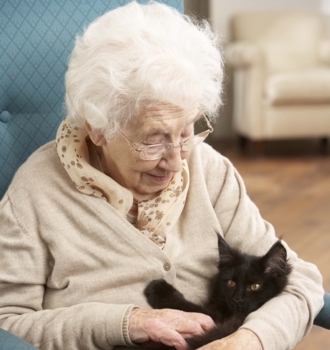 We provide in-home personal care and innovative alternatives to nursing homes that are significantly more affordable. There are many ways to maintain independence while also getting needed assistance. Our programs and services enable seniors living anywhere in New Hampshire to live independently – with all the support they need. For more information please visit Moore Options for Seniors.